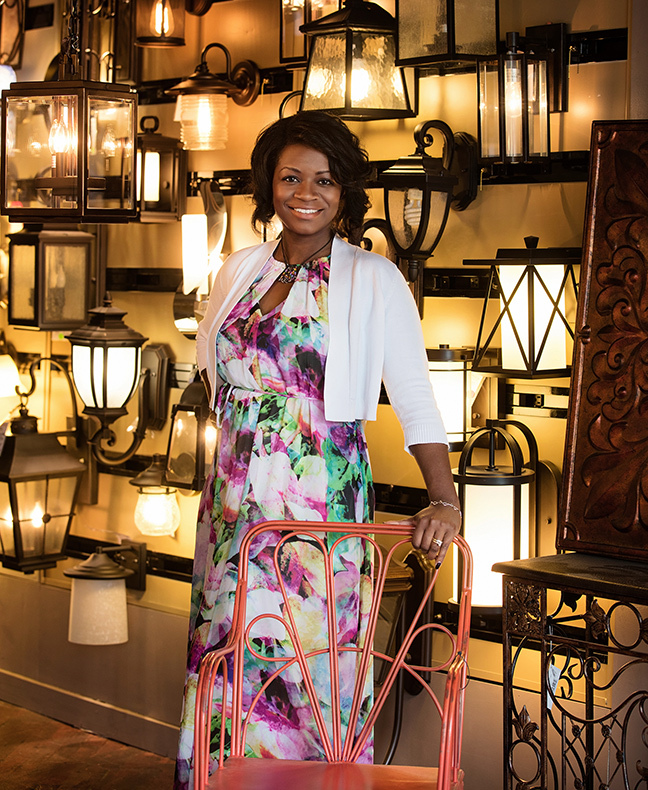 Carla Hunigan, manager of Holt Lighting Depot, gives you tips for illuminating your outdoor space. SLHL: Does decorative outdoor lighting require special voltage? Carla: Most decorative outdoor lighting such as portable lamps, chandeliers, pendants and fans with light kits are all line-voltage products. Line-voltage lighting can be hardwired to a junction box or can plug right into your outdoor receptacle. SLHL: Are certain finishes best suited for the outdoors? Carla: Absolutely. Choosing a finish for your outdoor space to complete the look you are going for is just as important for any finishes you choose for your indoor spaces. The main aspect of selecting any decorative lighting for the outdoors is to make sure that it has finishes rated for outdoor use. This will ensure that the finish will last and not fade due to exposure to the elements. SLHL: Is there anything special you need to do to protect an outdoor chandelier? Carla: As long as your fixture is outdoor rated, you should expect that there are no other special circumstances for its upkeep unless noted by the manufacturer's owner's manual. If it is not outdoor rated, you risk malfunctions due to exposure to damp or wet weather and your warranty may be voided. SLHL: Do you need one or two lights surrounding your front door? How do you decide? Carla: In my book, scale and symmetry are paramount when it comes to coach or wall lights for the exterior facade of your home. If you have a grand entryway with double doors, you should consider having two coach lights to greet your guests. If you have a single door with sidelights, you may only need one light, however two coach lights on a smaller scale will add more drama. SLHL: What are UL Listings for lights? Which rating is best suited for your outdoor application? Carla: A light that is UL listed is the first indication that the light meets U.S. safety standards. There are three main variations of UL listings for lighting including dry location for indoor fixtures, damp location and wet location. Wet location is best suited for outdoor fixtures behind damp location. Lighting with this rating requires a watertight construction preventing contact with electrical components. SLHL: What type of decorative lighting should you consider for an outdoor living/kitchen space? Carla: Keeping your outdoor living space just as cozy and welcoming as the indoors has a lot to do with your lighting. Implementing ambient lighting with outdoor portable lanterns and lamps are always practical. For task areas over an outdoor kitchen, you should use more direct lighting with shaded pendants or directional lighting for maximum surface illumination. Adding cove lighting to a covered area can bring indirect lighting to the space overall. SLHL: If you are having an outdoor party or event, what are some ideas to temporarily light the space with decorative lighting? Carla: Decorative LED string lights are an excellent way to not only bring a more festive ambience to your space, but it will also bring light to large areas where you wouldn't normally have light. LED string lights can come within a range of white light and colorful varieties to suit your taste.